Grantsville Mayor Brent Marshall gives his State of the City address Wednesday to the city council. Marshall, the city’s first full-time mayor, touched upon topics such as fiscal responsibility during the address. Grantsville’s first full-time mayor gave a first-ever State of the City address last night in which he detailed accomplishments in infrastructure improvement, economic development and emergency preparedness, while stressing continued fiscal restraint to deal with challenges ahead. 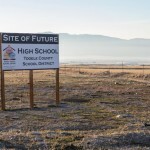 Marshall pointed to the settlement of the decade-long Grantsville-Tooele lawsuit as a major accomplishment last year. Marshall also stressed infrastructure upgrades that have included street repairs, sidewalk additions, flood prevention measures and park improvements. 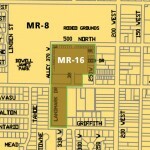 More park projects and improvements are in the works for 2012, especially on the Mountain Vista Park in South Willow Ranches. Marshall said the city’s goal for that park is to complete groundwork, install a sprinkling system, plant grass and plan future ball fields. Despite a drier than average winter, Grantsville still has flooding concerns looking towards spring, Marshall said. The reservoir remains full from a wet 2011, and should the weather become wetter in coming weeks, the city would need to be alert to possible flooding. Even if spring weather does not bring heavy rain or snowfall, Marshall said some areas of the city are in danger of flash flooding from sudden, heavy rainstorms, including the Little Reno subdivision and some homes in South Willow Ranches. City officials have been working with officials from Tooele County and Tooele Army Depot for cooperation on emergency plans in the event of flooding, and work began Tuesday on a flood control measure in the South Willow Canyon Wash via a grant from the Federal Emergency Management Agency (FEMA). Concrete slabs will be put in the creek coming down from South Willow to help stabilize the creek beds and reduce erosion, helping the water stay in the confines of the creek until it can safely flood out onto the Tooele Army Depot. Fiscal responsibility and frugality were also themes in Marshall’s address. 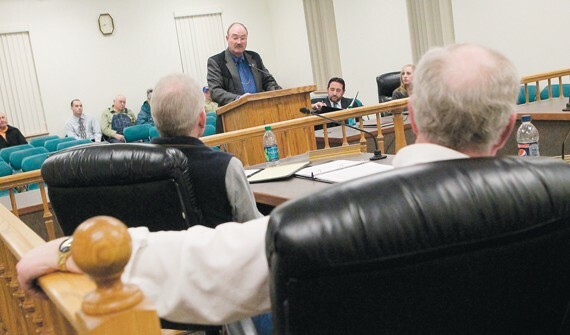 He said Grantsville’s budgetary position has continued to improve since the city suffered a financial meltdown in 2009 thanks to closer scrutiny of expenses and purchases. Marshall said revenues have increased past projections because budgets were drawn with a pessimistic view of sales and property tax revenues, which have exceeded those low expectations. Eliminating lawsuits and being fiscally conservative have also helped make money go farther, he said. Making sure the budget is fiscally sound has sometimes meant putting off or revising projects, as has been the case with the city library. Bids received in December were approximately $500,000 over the $1.8 million budget, and were summarily rejected as Marshall, council members and architects discussed ways to trim the project down. New bids on the revised plans will be accepted starting Feb. 10, and the contract should be awarded on Feb. 15. The library, which will include an available community room and classroom for Utah State University courses, is expected to be finished by the end of the year. In addition to the library project, Marshall said the city is trying to increase economic development by working with companies in hopes of attracting them to the area and bringing jobs with them. He also pointed out some challenges that lie ahead for the city. Pam Jensen was impressed with the mayor’s message of fiscal restraint. 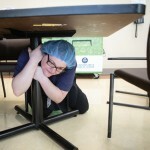 “They’re doing things within the budget, and they’re keeping our finances down,” she said. “Finances are important, period.” Jensen said she and her husband, Raymond, have taken advantage of the mayor’s opendoor policy, and have enjoyed the opportunity for candor and communication with him. Raymond Jensen said he felt having a full-time mayor was beneficial to city operations. Sheldon Riches said no points in the address came as a surprise to him, as he attends most city council meetings, but he appreciated the summary of the year’s events.